Finding a person in a crowd today who’s not on a cell phone or other screened device is like playing Where’s Waldo. And while adults’ use of technology has led to their own screen time saturation, kids’ use of this tech has ignited developmental concerns. The American Academy of Pediatrics says that children spend seven hours per day on average using screened-items — watching TV, using computers and playing with mobile devices and other electronics. The latest technology that's tackling the screen problem was announced for pre-order today, and it’s fittingly called Screen. 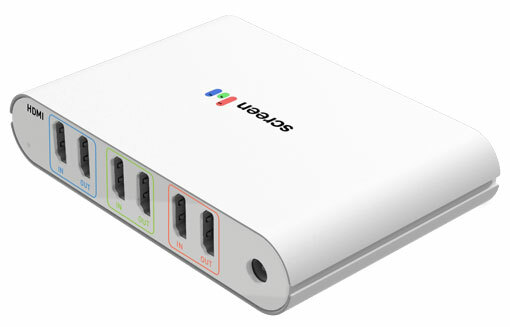 Screen can turn off access to phones, tablets, computers and TVs (and the streaming boxes and gaming consoles attached to them) using just the included Wi-Fi-connected box and downloadable PC, Mac, iOS, Android and Windows Phone apps. When you begin setup, Screen directs you to create a Family Agreement so parents and kids can decide on the house’s overall rules. 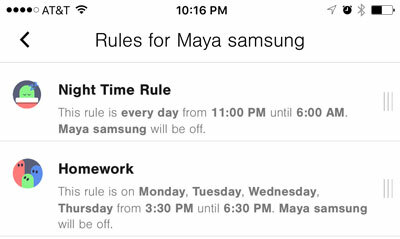 You can then create individual rules for each child or device, such as no devices for anyone during supper or no video games during homework time. What’s nice is that you can connect an unlimited number of devices to Screen (what family doesn’t have totals numbering in the double digits?). And when devices leave the house, they're still subject to the Screen rules. The person who is designated as the primary account holder can see what everyone is doing as they’re doing it (though other adults in the home can opt out of sharing their activities). 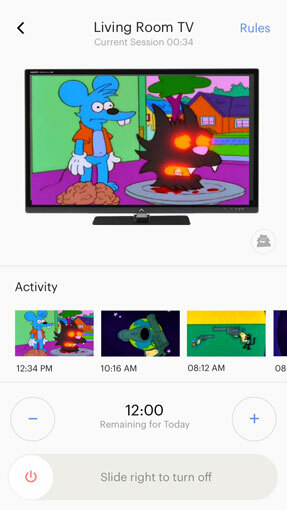 He or she can also send messages that appear onscreen, reminding kids that they’ve got a set number of minutes left, or that what they are watching is inappropriate. At it nears time to shut down, the child will get a series of warnings. Once the time’s up, the device locks and cannot be used until the rules allow it or the primary account holder enables the device. Shaking a device loaded with the primary account will turn off all of the connected gadgets. Screen is available for pre-order now from getscreen.com for $99, and will ship mid-2016. For more on monitoring your kids’ screen usage, check out our guides on how to protect their privacy online, as well as block questionable content on iOS devices.